How long will I need to wait if I have a dental emergency? You don’t need to wait. The Glenroy Dental Group offers Same Day Dental Emergency Services. We will respond to your emergency call as soon as it comes in. We will do everything we can to help you and make you pain-free again. We always make sure to provide quality emergency care for patients in Glenroy. At The Glenroy Dental Group, we care about your oral health and overall wellbeing. That’s why we will do everything we can to help you and make you pain-free again. We always make sure to provide quality emergency care for patients in Glenroy. For more details, visit our dental emergency page. Preventative dentistry can help you be sure that your family’s oral health is in optimal condition. Preventative dental care services include treatments and procedures that prevent the development of oral health diseases. Taking preventative care of your teeth helps you avoid gum disease, cavities, cosmetic damage, and more. However, it’s a different case for patients who are at risk of gum disease and oral cancer, as these patients require more frequent visits. Your dentist will let you know how often you should visit according to your oral health status. What are your children’s dentistry services? Our children’s dentistry services are focused on preventative dentistry. Our aim is to strengthen the foundation of a child’s oral health journey for a future of healthy and bright smiles. Orthodontics are also available for children. Children as young as 7 years old are encouraged to take advantage of our orthodontic evaluation. Same day emergency appointments are also available for kids. What are the services covered under CDBS? CBDS or the is the Child Dental Benefits Schedule, is the Australian’s government latest initiative through Medicare, which provides financial support for basic dental services to children of eligible families. I have crooked teeth or a misaligned bite. What are my options? Orthodontic treatments are used to address malocclusions (bite problems). At, Glenroy Dental Group, we offer various orthodontic options to suit the special needs and desires of each patient, including conventional braces and Invisalign. Traditional fixed braces, often called metal braces, are made of wires and brackets, which are tightened to provide you with the straighter smile you have always wanted. The braces work by exerting pressure onto your teeth to move them into their ideal position. Removable braces are suitable for patients with minor to moderate bite issues. These braces are composed of a plastic plate and wires. Invisalign consists of a series of clear (nearly invisible when worn), custom-made aligners designed to gradually guide your teeth into their proper alignment. They are removable and are popular among adult patients. To help you choose the best option for you, we recommend an orthodontic evaluation. For more information, go to our orthodontics page. Bad breath, also known as halitosis, is probably the most embarrassing oral problem. Some people are not aware that they suffer from bad breath. Our noses are desensitised to the smell of our breath so they can’t detect the odour. But here’s a trick that can help. Lick your wrist and let it dry. If it smells bad, then your breath most likely does too. At The Glenroy Dental Group, our bad breath treatment focuses on preventative dentistry, as bad breath is a dental issue associated with gum disease. 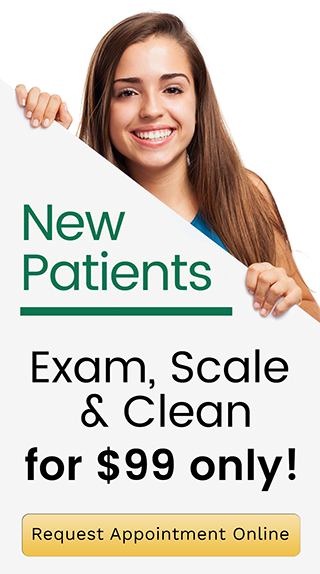 Your dentist will perform a thorough scale and clean and will give you personalised oral hygiene instructions. In the course of treating your bad breath, scheduling and keeping follow up check ups are necessary. The overall goal is to improve your oral hygiene habits. Dental crowns and bridges are two of the most popular restorative devices meant to restore your teeth’s bite and functions. Crowns are artificial caps designed to replace unattractive or damaged teeth. They are cemented permanently to the healthy root of the tooth. The materials used in dental crowns are made for strength and aesthetic appearance and are based on the location of the teeth and the patient’s specific needs. Other uses of dental crowns include a cap for a dental implant, to complete the root canal treatment or for cosmetic purposes. Dental bridges fill the gaps left by missing teeth. Installing a dental bridge fills the gap created by missing teeth and provide stability to the remaining teeth. For more information, go to our crowns and bridges page. To make quality dental care more accessible to the public, we support payment plans in our office. Application can be completed in just 3 minutes. 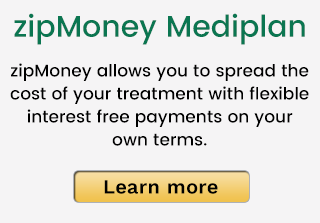 For more information, click here https://www.glenroydental.com.au/zipmoney/.